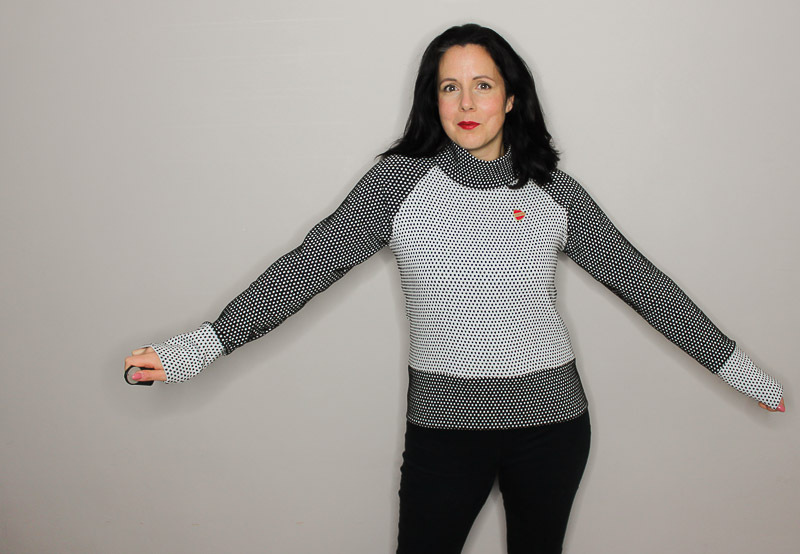 This week, Suzie from Threadquarters has shared her latest LSABlogSquad make – the Sew House Seven Toaster Sweater, that she made from this lovely Double Faced Dobby fabric. She has really shown off the fabric by using the reverse of it to show the cuff details. Hello everyone! I’m back on the Like Sew Amazing blog today to share the perfect instant gratification project. 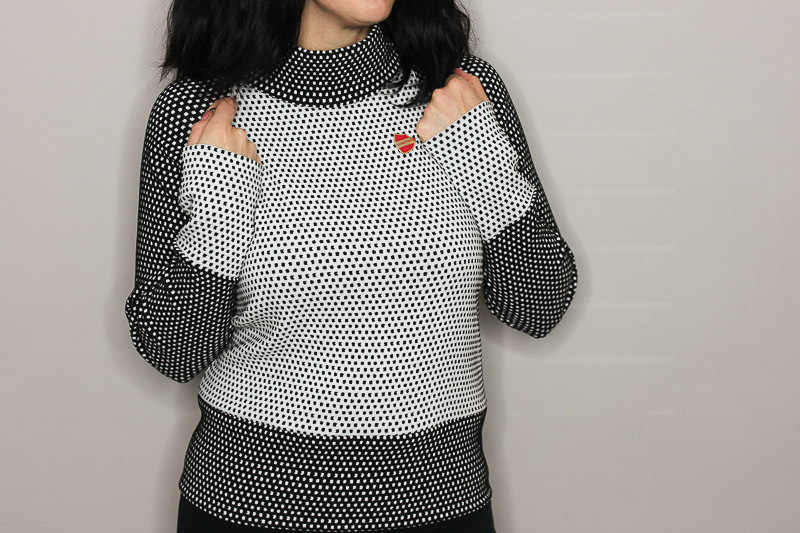 Maybe you are short on time, have lost your SewJo a bit or just need a quick sewing fix – the Toaster Sweater is perfect! Plus, with the weather starting to cool down a bit, it’s a great addition to your Autumn/Winter wardrobe. I’ve made up my sweater in this fantastic double sided black and white dobby fabric. I knew I had to play with this unique feature so as you can see I’ve swapped the ‘right’ sides for the body and cuffs and I just LOVE the result! 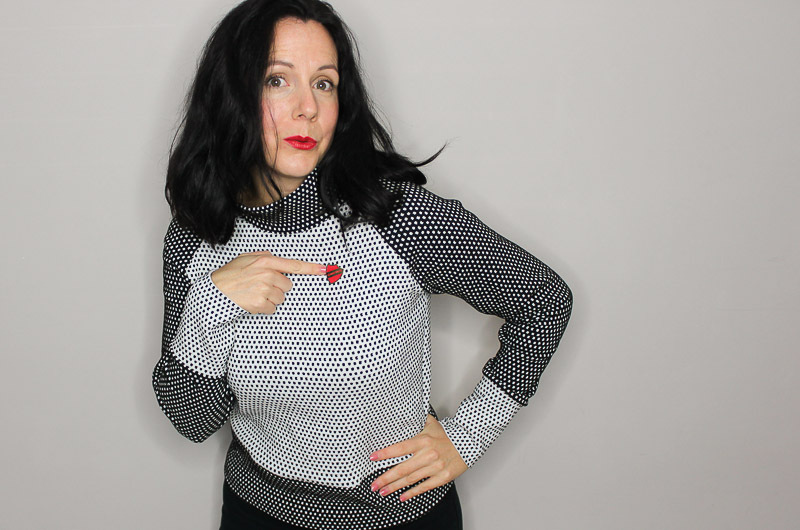 I would caution that you have to have your wits about you when you are sewing it together – no watching Netflix or listening to Love To Sew while you are doing this or you might forget which side you decided was the ‘right’ side for each piece! This fabric is really quite stretchy, even though it’s not technically a ponte, it does have a similar thickness. Do note that the stretch is parallel to the selvedge though, so, like me, you may want to line up your pattern pieces with the grainline perpendicular to the selvedges (rather than the usual parallel). This will mean you have the stretch running around the body rather than up and down the body. As for the Toaster. I picked my trusty view 1 and made it up in my usual size L. However, I actually prefer a closer fit so I ended up taking it in quite a lot along the sleeves and body. I think what I really need to do is just retrace a size S and try making it up in that size rather than keep taking it in every time! It’s a really easy make though, if you have yet to try it, especially if you have an overlocker. But it can just as easily be made on a regular sewing machine of course. I absolutely love the oversized cuffs and hem band, both for their look and also how neat it makes the finish. 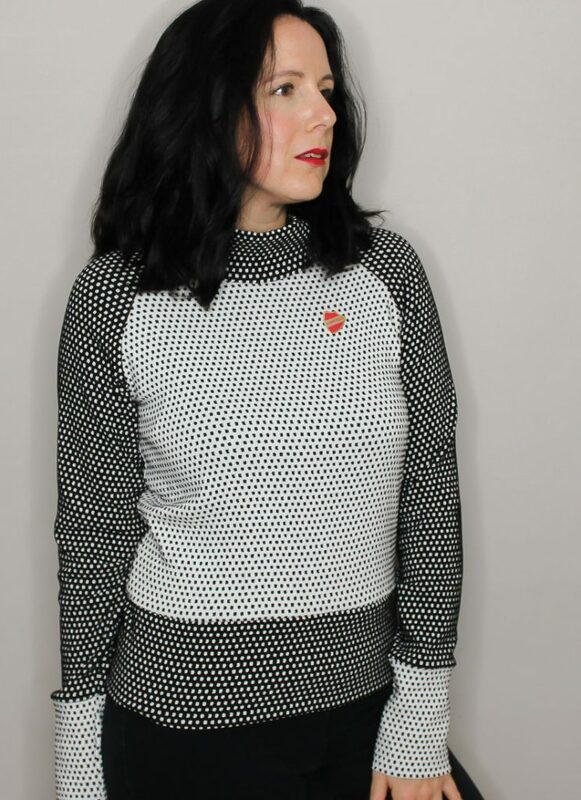 Sarah has got some gorgeous jerseys in her shop that would be perfect for a Toaster. These Burgundy or Dark Green Sweatshirtings would be super soft and snuggly. 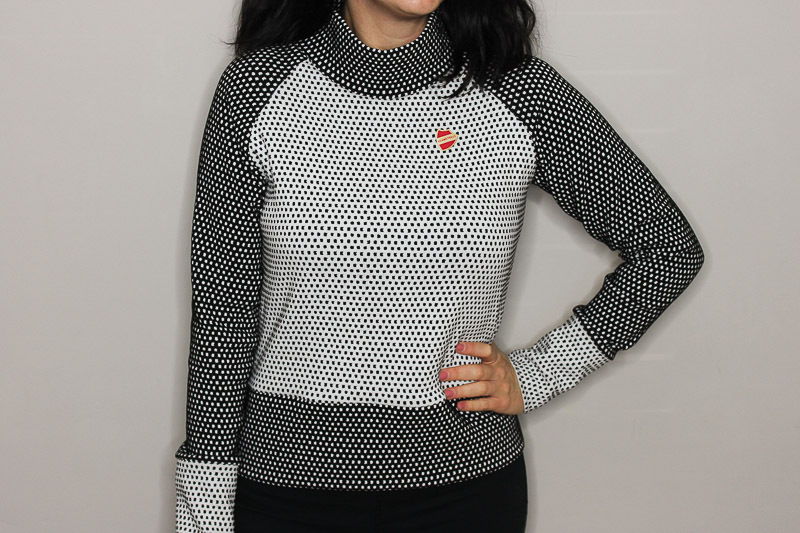 Or how about making one similar to me and swapping the colours of some of the pieces, with this Double Faced Grey/Black Ponte Roma?